Predictive analytics is used to analyze current data to predict future using data mining, statistics, modelling, artificial intelligence, and machine learning. It helps enhance various aspects in the healthcare segment. These include patient care, chronic disease management, supply chain efficiencies, and hospital administration. 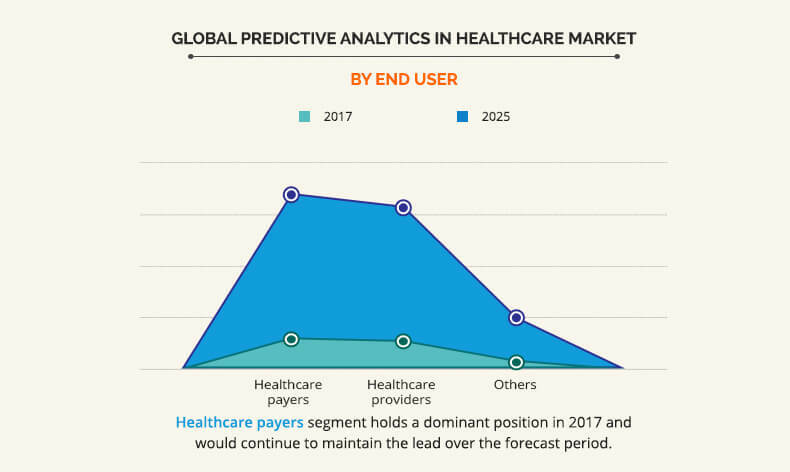 The global predictive analytics in healthcare market was valued at $1,806 million in 2017, and is estimated to reach $8,464 million by 2025 at a CAGR of 21.2% from 2018 to 2025. The major factors that drive the growth of the market include increase in efficiency in the healthcare sector, emergence of personalized and evidence-based medicine, and rise in demand to curtail healthcare expenditure by reducing unnecessary costs. However, lack of robust infrastructure for effective functionality and limited skilled IT professionals in healthcare are expected to hamper the market growth. Moreover, rise in importance of healthcare in emerging economies is expected to help open new avenues for the market growth during the forecast period. Based on application, the market is segmented into operations management, financial data analytics, population health management, and clinical. The population health management segment is expected to witness lucrative growth during the forecast period, owing to the rise in importance of using predictive analytics to evaluate disease treatment pattern and reduce readmission rates. Based on end user, the market is classified into healthcare payers, healthcare providers, and others. Healthcare payers is the largest contributor toward the market growth as this segment mainly includes insurance companies, health plan sponsors where predictive analytics is used to evaluate insurance claims, prevent & detect fraudulent claims, and assess disease risk. 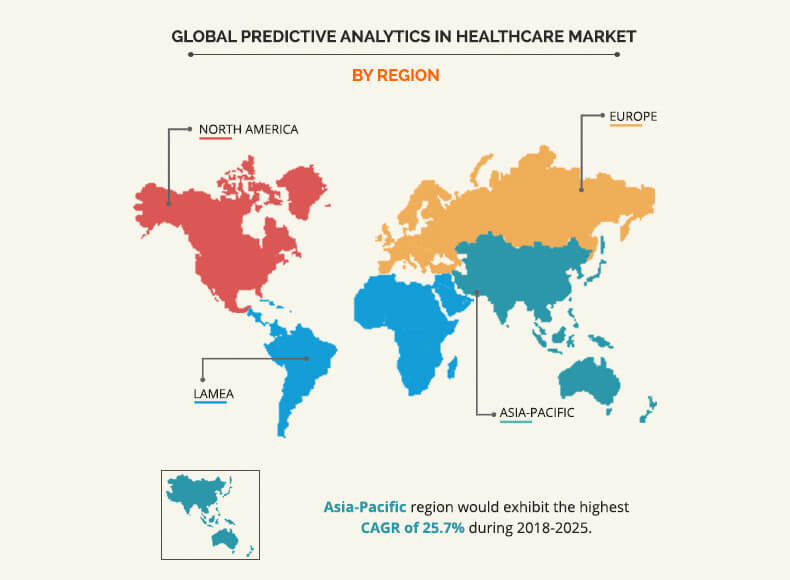 As per region, the predictive analytics in healthcare market is analyzed across North America, Europe, Asia-Pacific, and LAMEA. North America accounted for the largest market share in 2017, and is expected to retain its dominance throughout the forecast period. 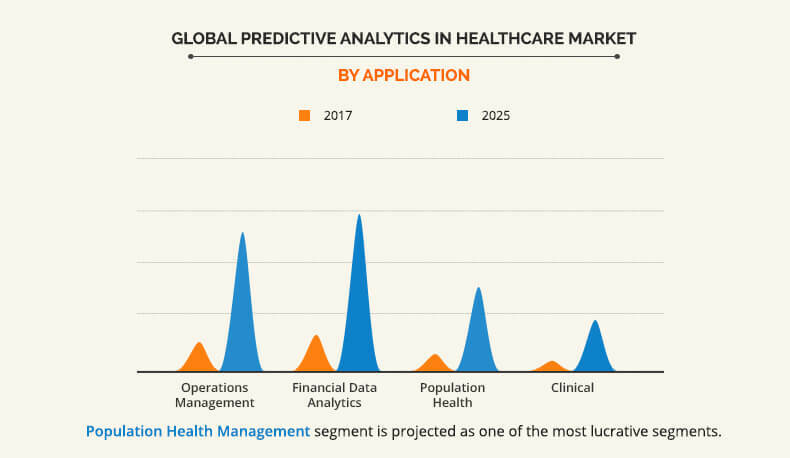 The key players operating in the global predictive analytics in the healthcare market include Allscripts Healthcare Solutions Inc., Cerner Corporation, IBM Corporation, Information Builders Inc., MedeAnalytics, Inc., Optum Inc., Oracle Corporation, SAS Institute, Inc., Microsoft Corporation, and Verisk Analytics. 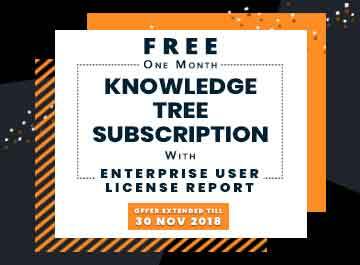 The other prominent players in the value chain include CitiusTech Inc., Nous Infosystems, Streamline Health Solutions, LLC, Alteryx, Inc., Hortonworks Inc., Health Fidelity, Inc., and ScienceSoft USA Corporation. Predictive analytics has witnessed significant adoption in the healthcare sector, as predictive analytics helps in better decision making using the available data, thus enhancing patient outcomes. There is a growth in demand for personalized medicine, where the treatments and medical practices are tailored to suit the individual needs. This has increased the demand for predictive analytics as these tools can utilize the environment, genetic makeup, and lifestyle that would help enhance the success rate of personalized medicine. Healthcare provider is the most lucrative segment among end users, attributable to the increase in the healthcare costs. Also, the rise in the number of hospital readmissions motivates healthcare provider to adopt predictive analytics that would help physicians make excellent operational decisions, optimize their use of assets, and prevent readmission rates. The use of predictive analytics in healthcare is highest in North America, particularly in the U.S., owing to highest adoption rate of predictive analytics software and solutions in the healthcare industry and well-established healthcare infrastructure. Though the use of predictive analytics in healthcare in Asia-Pacific and LAMEA is low, the adoption rate is expected to increase due to the rise in awareness regarding the importance of predictive analytics in the developing regions and large number of R&D activities for the development of predictive analytics tools. "Predictive Analytics in Healthcare Market"